Kosherfrugal.com - Frugal Living in Israel: Winter Fun Deals! Kosherfrugal.com and Janglo have teamed up to bring you some great GROO deals you don't want to miss! Check out these deals for discount admission to all sorts of activities/attractions this winter! If you're looking for restaurant deals, click here! 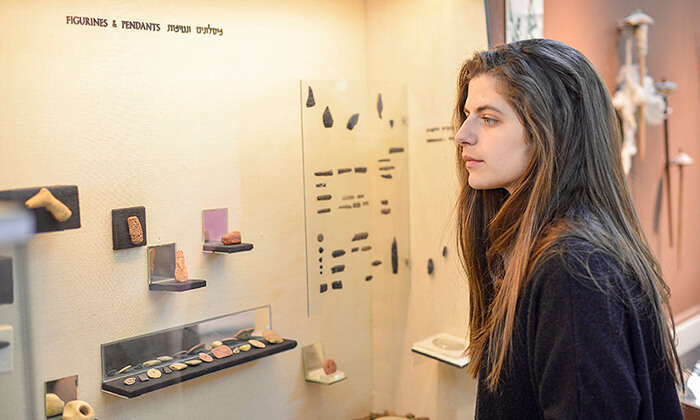 Admission to the Hermon for just 33 nis! Redeem your voucher any day this winter that the site is open, thru March 30, 2019. Hours of operation: 8 am - 4pm, weather permitting. Any person over age 3 must have a ticket. 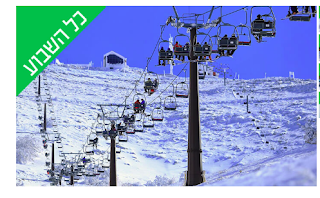 99 nis for admission, round trip cable car ride, plus ONE "extreme attraction". 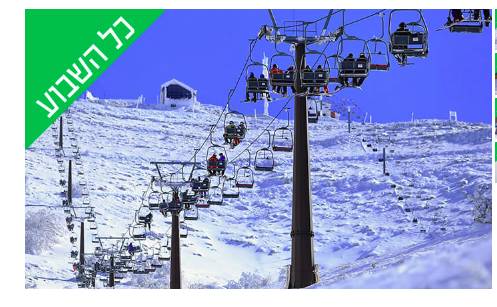 389 nis for family admission (4 people) plus round trip cable car rides and one "extreme attraction". Tip: No cars will be allowed in after 3 pm. Last cable car ride is at 3:20 pm. Last "extreme attraction" ride is at 3:30 pm. Mt. 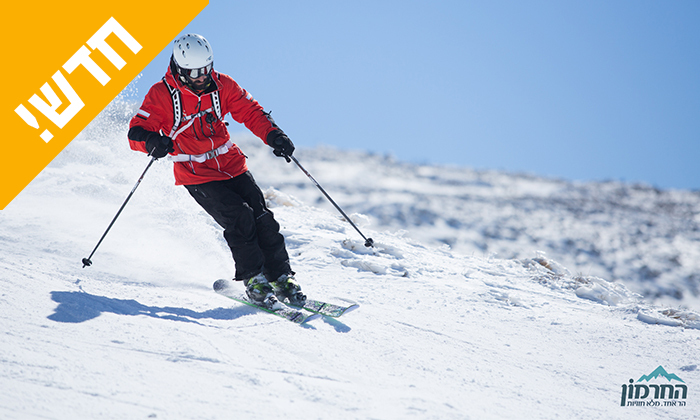 Hermon Full Day Ski Pass - everything you need to ski all day at the Hermon for 385 nis instead of 439 nis! Redeem your voucher any day this winter that the site is open, thru March 30, 2019. Hours of operation: 8 am - 4pm, weather permitting. Tickets to JumpPark in Rishon: choose from these deals: 1 person for 39 NIS, 2 people for 77 NIS, or 4 people for 153 NIS. Voucher valid thru January 31, 2019. Admission is dependent upon availability - if the facility is too crowded, you made be turned away. 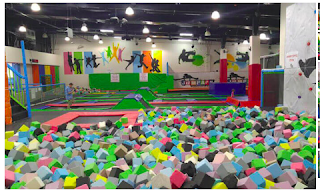 Redeem Sun - Thurs, 3-10pm, Fridays 12-7pm, and Saturdays and school vacation days, 9am - 10pm. Every person will have to sign a permission form. Age 6+ allowed on the trampolines. You can buy non-slip socks for 7 NIS at the facility. Ice Skating at Montfort Lake - 60 min. session for 39 NIS (for one person), or the family pack (4 people) for 149 NIS. 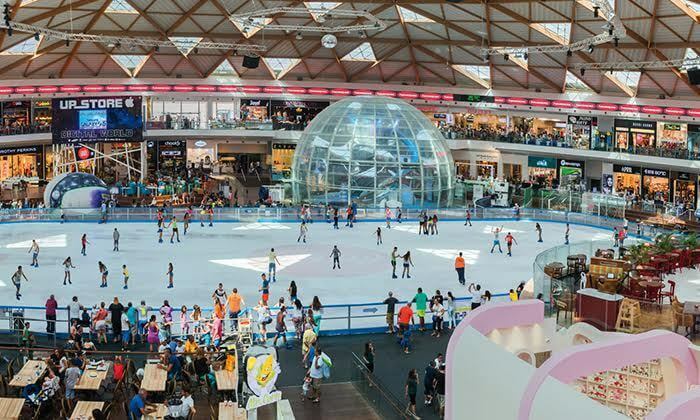 You can also choose a combo package - ice skating plus a boat ride for 4 people, for 209 NIS! Voucher valid for 60 days from date of purchase. 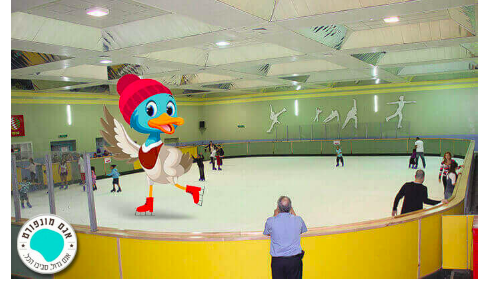 Ice skating is for age 5+. They recommend calling in advance to be sure they are open to the public the day you plan to come. A variety of Kotel Tunnel Tours/Experiences are on Groo right now! 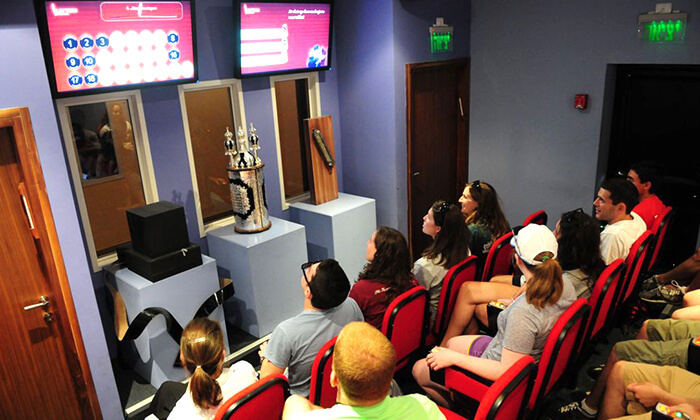 Children's tix range from 15-25 NIS, depending on the program, and adult tix are 25-40 NIS, depending on the program. Voucher valid for 60 days from date of purchase. Reservations are required and you must bring your printed voucher with you. Be sure to arrive EARLY for your reserved time (recommended at least 30 min. early). 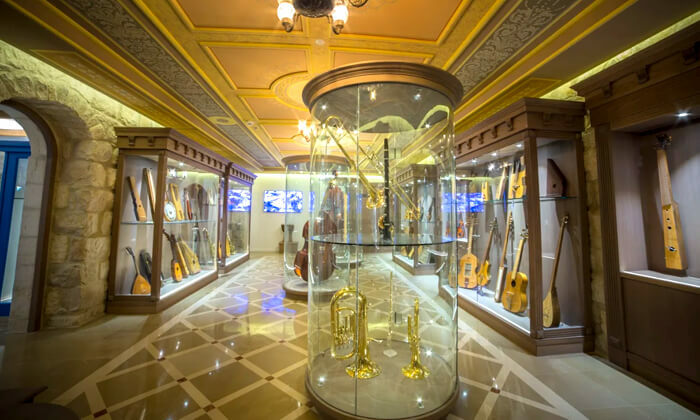 Visit the Hebrew Music Museum in Jerusalem for 35 NIS instead of the regular 50 NIS. 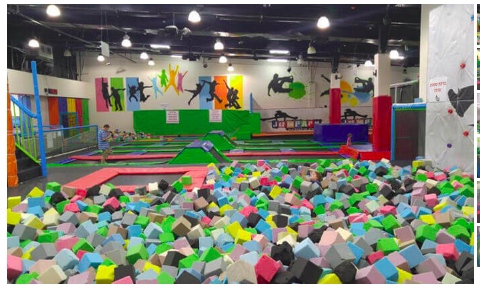 Admission is charged for everyone age 5+. Voucher is valid for 60 days from date of purchase, and reservations are required. Museum Hours: Sun - Thurs, 9:30am - 8pm, and Fri, 9:30am - 1:30pm. 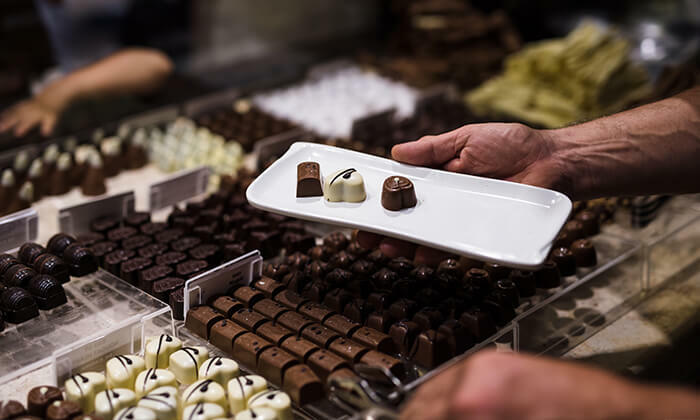 DeKarina Chocolate Factory Tour and Workshop (Ein Zivan - Golan Heights) - 20 NIS for the tour, or just 52 NIS for children's workshop and tour, or 56 NIS for an adult workshop and tour. Voucher is valid for 60 days from date of purchase, and reservations are required. Hours of operation: Sun - Thurs, 9am - 5pm, and Fri, 9am - 3pm. Visit Safed's Otzar HaStam (Scribe's Collection) Visitors' Center - 24 NIS for an adult or 21 NIS for a child (25% - 33% off) or 2 adults + 1 child for 67 NIS. Voucher valid for 60 days from date of purchase. Reservations required. 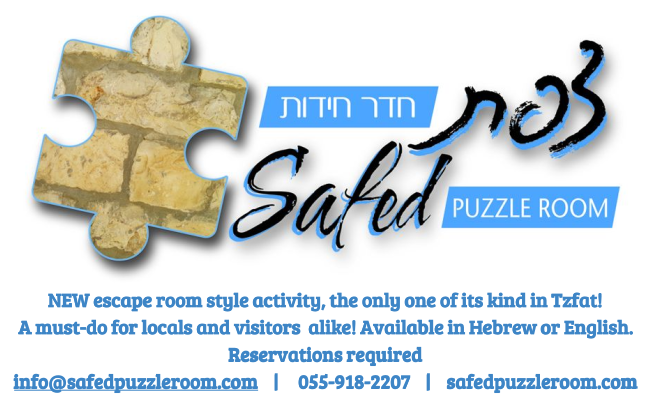 If you're in Tzfat, be sure to also check out my exclusive discount at the Safed Puzzle Room! 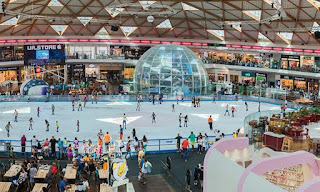 Ice Skating in Eilat! Get tickets for just 49 nis (reg. price is 76 nis)! Voucher valid for 60 days from date of purchase. Redeem 11am -11pm (Fridays only until 10pm). Be sure to wear socks. Bring your PRINTED voucher with you. Children under 6 yrs old are not permitted to skate. Groo deals often sell out quickly, so be sure to order before the deal ends! Share this post with your friends so they don't miss out! For more deals, be sure to like my Facebook page, and join my Deals group! See you there! iHerb Sales!! Grab them while you can! 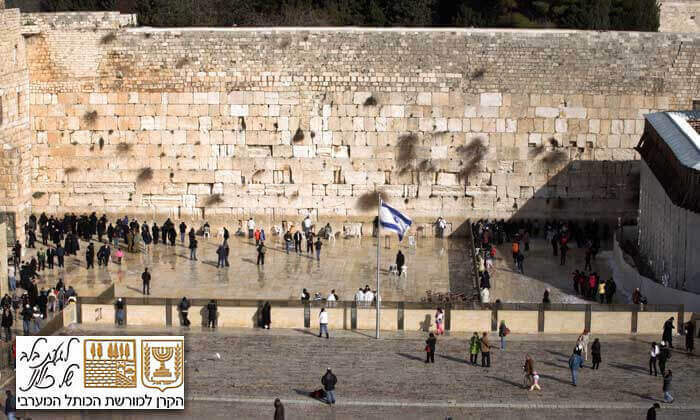 Restaurant Deals: Jerusalem and TA area! Restaurant Deals: North & South! iHerb sales (and shipping saver tips)! 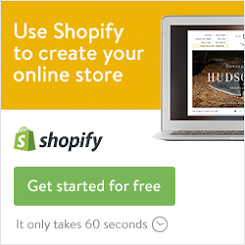 iHerb special savings and shipping saver tips! Deal: 32 GB thumb drive for 18 NIS! Deals: Restaurants in the North & South! New Customer Savings from iHerb!